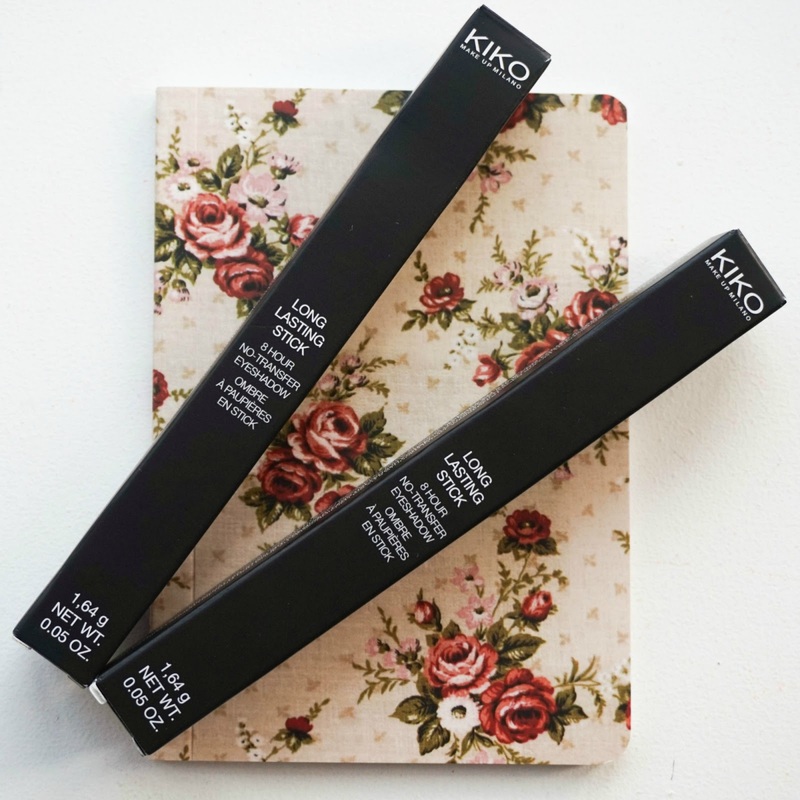 These KIKO Long Lasting Eyeshadow Sticks have been around for quite sometime and have even been compared to the luxurious By Terry Ombre Black Star, but I have never been overly drawn towards them thinking it wouldn't get much use from me. That is until I swatched these two shades and was completely blown away, firstly by how gorgeous the shades are and secondly by the longevity. I swatched these right before meeting Renata and heading to the #BloggersChristmasParty. Throughout the evening these did not budge from my hand no matter how much I tried to rub and scrub at them, so it was then that I knew on the way back to the tube station I had to pop back in store and bring them home with me. There was also a 25% off sale so it made the purchase even better, now thinking about it I probably should have picked up more shades, but a lot of the other shades available just weren't exactly to my liking. Let's start off with shade 05 Rosy Brown which has been claimed to be an exact dupe for By Terry Ombre Blackstar in Misty Rock, which I have personally never tried myself so I can't comment (Renata however has and she's even done a comparison review here if you want to check it out). The shade is just stunning, I have no other words to describe just how beautiful it really is. Packed with shimmer it can look different depending on the light that hits you and as you can see there's tones of brown and rose through it. The next shade I picked up is 37 Burgundy which is a gorgeous berry shade that looks amazing for this time of year if you want to go for a full on plum smokey eye or if you want to blend it with a touch of black/grey. This one has no shimmer through it but it still has that metallic look to it. 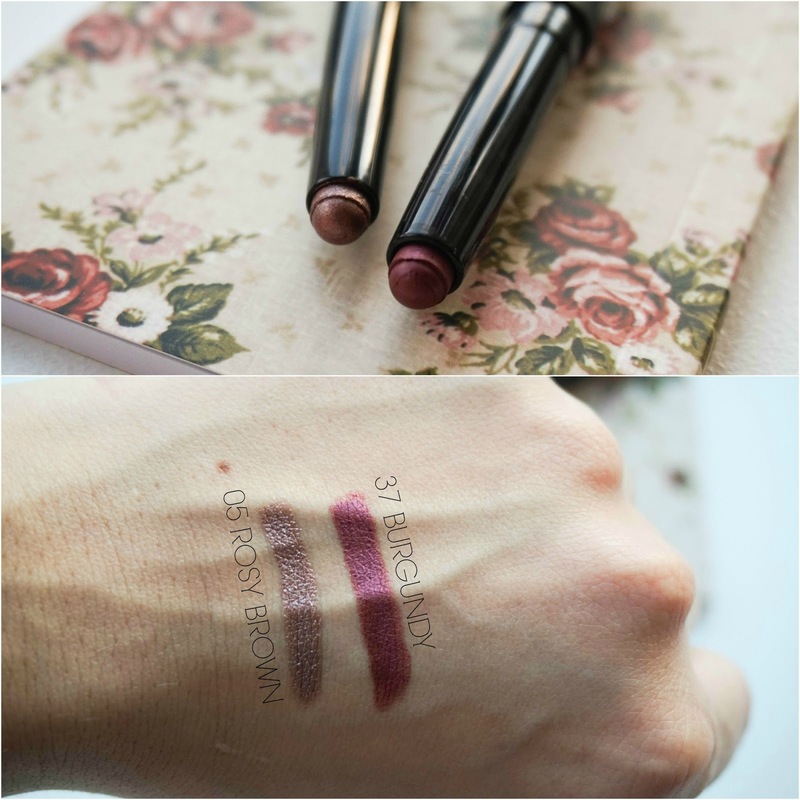 Both shades are super creamy and can be blended easily with no effort at all. As mentioned before they last amazing well and they are so quick to use. I can't recommend these products enough and I can see them quickly becoming staples in my makeup routines in the new year already. 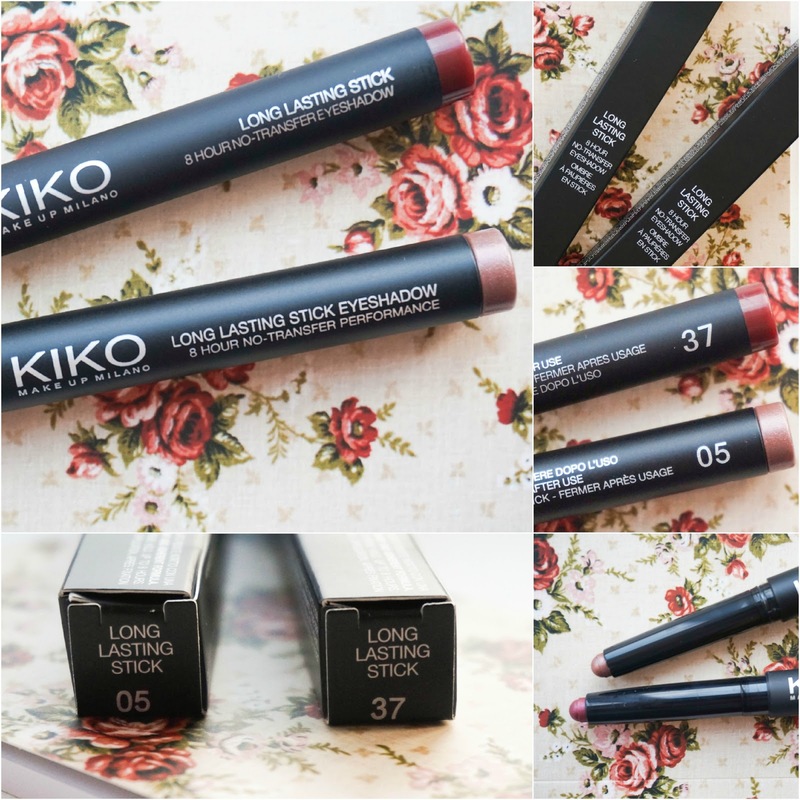 Have you tried these eyeshadow stick before? If so have you got any recommendations for me in terms of shades that I should pick up next? I'd love to hear your suggestions for my next visit….